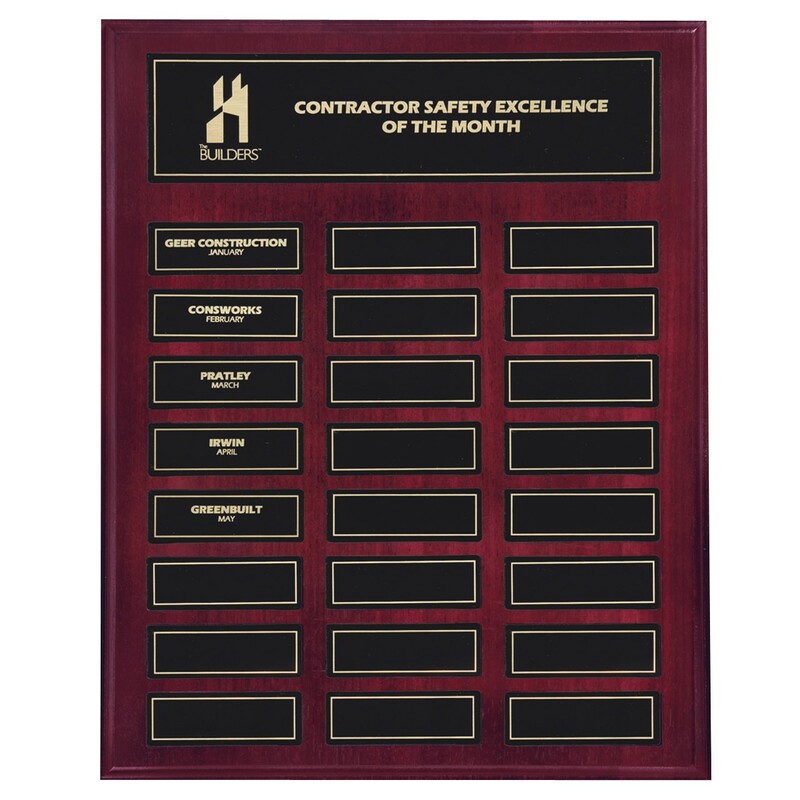 Capture the names of your top employees on our beautiful Easy Change Mahogany Perpetual Plaque. 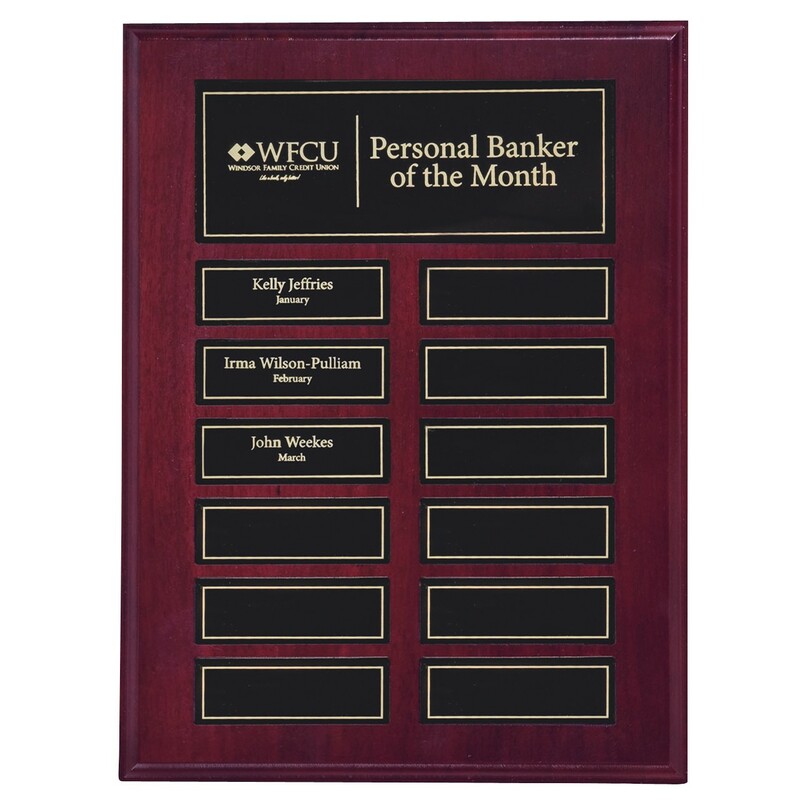 This rich plaque features a mahogany finish with black brass plates. 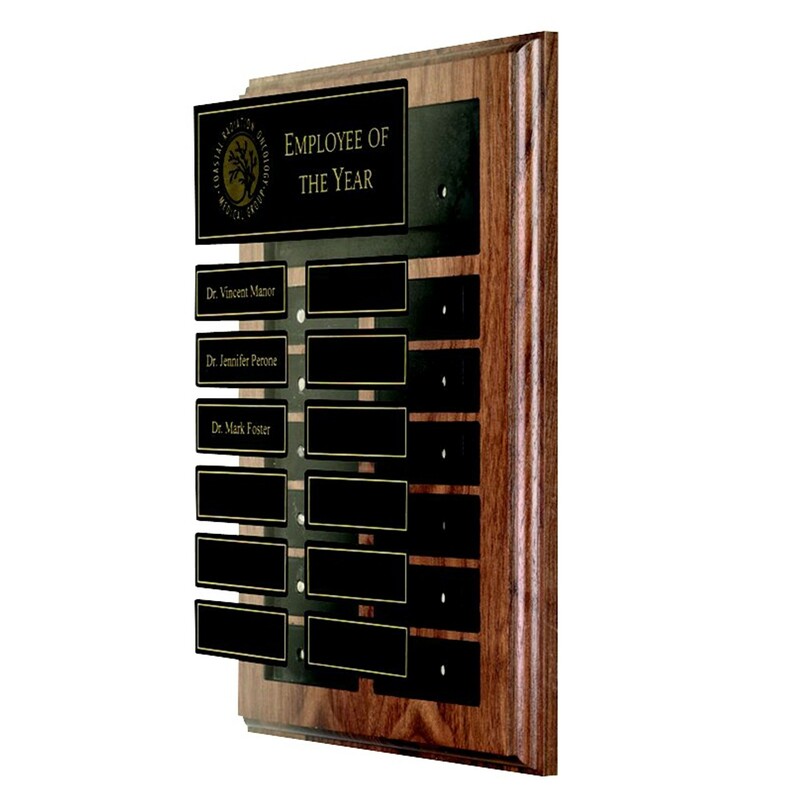 Engrave your award title, company name, or your logo for free on the black header plate in gold letters. Available in a 12 or 24 plate option, all plates feature a magnetic easy release, where plates are removed from the plaque with the push of a finger. This rich plaque will be enjoyed for years to come!